Mesquite-smoked bacon wrapped around a Thumann's dog. 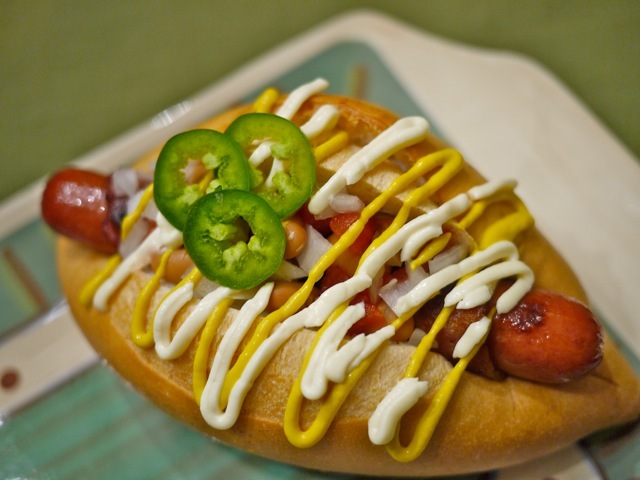 The smoky southwest flavor is nestled in a fresh Mexican bolillo roll that creates a soft little boat for the dog. Then, it's topped with a row of homemade baked beans, chopped tomatoes, onions, mayo, mustard and jalapeno peppers.